The day began with gray weather and mild winds from the south east. All but one crew member has the scurvy – hemorrhaging, feverish, and omitting the most vile odors. I fear that my days are numbered. How long must I suffer ingesting this boiled water? How long must my mouth commune with the lifeless lip of a plastic bottle? Even La Croix, in all her purity, has begun to make me sad. Gambier, I love you but you’re bringing me down. Oh! I long to drink crystal waters directly from the faucet. What naive sin! What halcyon pleasure! My tongue greedily licks tears as they fall from my face, desperate to drink of that stream which flows from within. I am all salt, all dry, all crust crumbling to dust. I also found a dollar in my pocket, today. That was nice. What boil alert blessings do you have for me? A main water line has broken on Brooklyn street. The Village Administrator has had the water shut off and the water company is on scene. Gambier & Kenyon will be under a boil alert once the line is repaired. Campus Safety currently hasn’t any further details. We will relay updates as they are received. 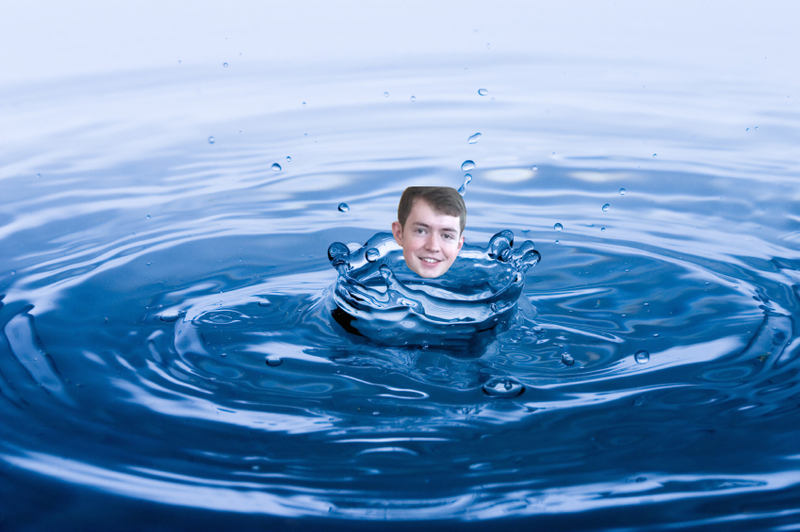 Renowned writer and editor Jack Quigley ’16 bathes in the freedom of an unregulated water supply. We did it, Kenyon. We survived not one, but TWO water-related crises. We broke out our electric kettles and used them like we never had before. We ruined CHIPS water bottles and turned ordinary recycle bins into Snapchat-worthy installation art. We skillfully exploited a countywide problem solely affecting tap water, using it as an excuse to avoid classwork, KAC workouts and the terrifying behemoth that is Peirce Hall. We didn’t just survive; we THRIVED. 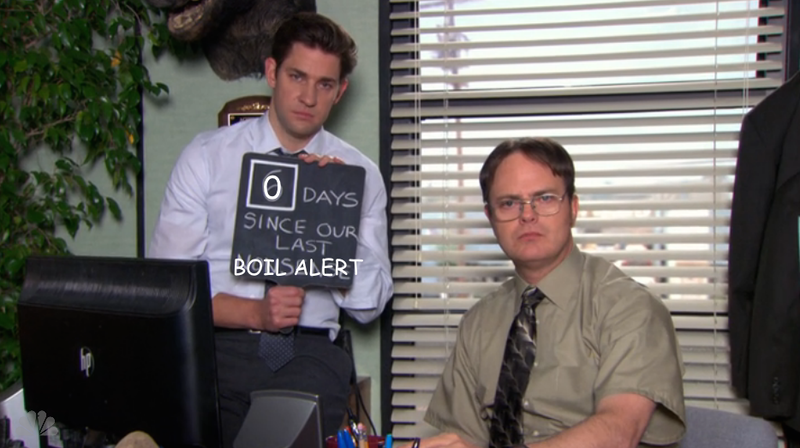 But now, the boil alert is over. And that’s pretty cool, too, wouldn’t you say? What? No? You miss the excitement of avoiding contaminated H2O at all costs? You miss the crunch of cheap water bottles as they crinkled and bent in your grasp? You miss the intrigue? The excitement? The thrill of it all?